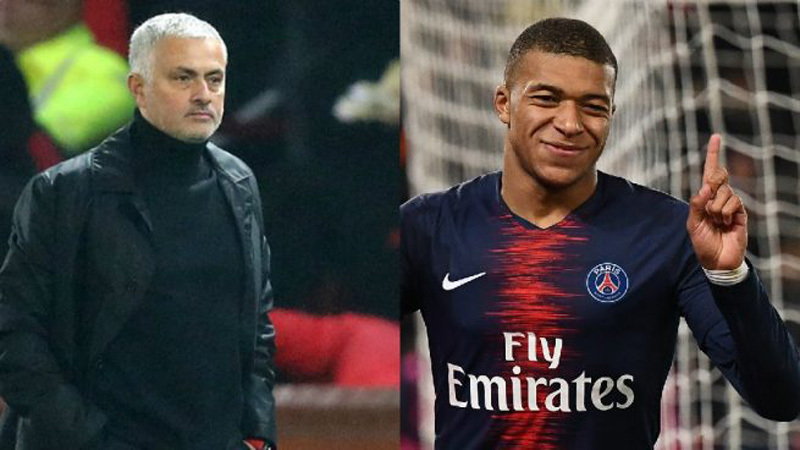 And it is his youth that former Manchester United manager Mourinho views as the critical difference when comparing his worth in the transfer market to Barcelona captain Messi, 31, and Juventus talisman Ronaldo, 34.The ex-Chelsea, Inter and Real Madrid head coach thinks the France international could command even a higher fee than the game's current most expensive player, his PSG team-mate Neymar. when you go to the market level and age is also a factor, I think he's the most valuable player in the world. Speaking at a media conference on Monday, Les Bleus boss Didier Deschamps endorsed the young forward's maturity and ability to cope with close attention from opposition players. "He has such abilities that he may face some tough challenges on the pitch. He's ready to deal with that kind of thing," Deschamps said. "He deals well with those situations though. He's used to it. It's something he has experienced since the beginning of his career and he will be subjected to this his entire career because of what he's able to do on the pitch. "Goal.com.